Hamro Doctor takes your privacy seriously. We have made our policy as clear as possible so that you can rest assured that you are in good hands. 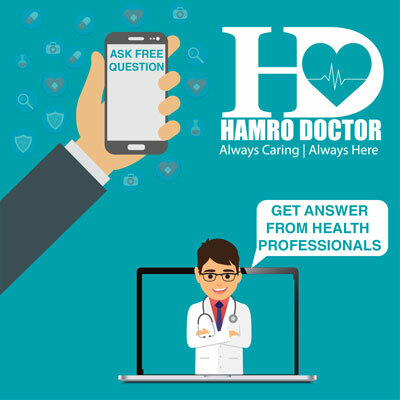 Hamro Doctor is committed to respecting the privacy rights of all users of Hamro Doctor services provided via hamrodoctor.com and to protecting your personal and medical information. This policy describes how information about you may be used, how it may be disclosed and how you may access this information. Please note our primary concern is to provide a platform for quick and simple online consultation. Be advised, in case your medical question or consultation contains matters of high security risk or there is a high privacy concern (like matter of Federal or State importance, matters related to judiciary, matters related to police or law enforcement) we suggest you to use alternate services or to use face to face medical consultations. It is advisable to include only relevant de-identifiable Personal Information in medical history and files uploaded by you. In order to use Hamro Doctor, you are asked to enter an email address and password, which we refer to as your Hamrodoctor ID. After you create your ID, you can use the same ID to sign in to this service. This process will allow you to manage your profile and/or account; upload files (medical scans and documents) and ask specific queries. When asking questions, you will be asked to submit personal information like date of birth, gender, height, weight, blood group etc. . Providing us with other personal and identifiable information is, of course, optional and not highly recommended. However, in some cases it may not be possible for us to provide the service in question without receiving specific medical information from you and in some cases you would be requested by the consulting Physician to provide additional information in order to answer your questions. Additional information could be details of your medical history, specific medical reports, etc. We automatically track and collect IP addresses, domain servers, type of web browsers, computers and domain servers used to access the site, referring source to the site and your interaction with the site and the browser. We also collect information you provide voluntarily in free-form text boxes on the Site and through responses to surveys, questionnaires and the like. We may use third party website analytics services in connection with the Site. These website analytics services do not collect Personal Information that you do not voluntarily enter into the Site. These services do not track your browsing habits across web sites which do not use their services. We are using the information collected from these services to find usability problems to make the Site easier to use. 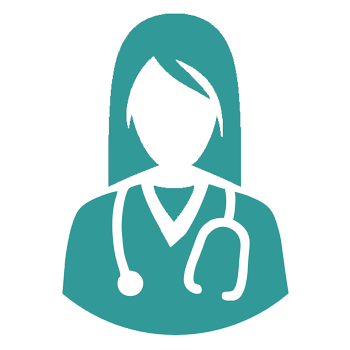 Personal information like your medical history (optional), gender and age details is collected when you start a new consultation request. These are saved in your account for future reference and future consultation requests. These details in conjunction with your questions are shared with Consulting Physicians to help them answer your questions to the best of their knowledge. We may also use your de-identified Personal Information. Provide to you the services offered by the Site. Troubleshoot problems, Provide you with system or administrative messages, and as otherwise described to you at the time of collection. Payment notifications: Bill any amounts due from you through our affiliate merchants. Deliver information to you that is relevant to your interests, such as notifications and reminders related to consultation. Recommend certain resources or medical providers, inform you about our product and services. However, in other instances, non-personal information collected may be used for statistical analysis, improvement of services, and customization of web design, content layout and services. Other uses and disclosures of medical information not covered by this Notice, or by other laws that apply to us, will be made only with your written permission. If you give your permission to use or share your medical information, you may cancel that permission, in writing, at any time. If you cancel your permission, we will no longer use or share your medical information for the reasons covered in your written permission. We cannot reverse any disclosures we have already made with your permission. You choose whom you want to disclose your personal information to and how long you want to disclose it.You can even choose how long your information can be shown to your doctor. You can set a certain time limit for your information that is shown to the doctor. After the selected period of time, the doctor will not be able to gain access to your information. We strictly do not share any private information regarding our patients to any other party. The information that you provide will be limited to you and your doctor and no one else. You may choose not to share any medical history with your consultation request. But in the event of the consulting Physician requests you to share more medical information to answer your questions, it is advisable to do so. It is advisable to include only relevant de-identifiable Personal Information in medical history and files uploaded by you. You make the choice of making your data available to consulting doctors. We follow generally accepted industry standards to protect the Personal Information. For example we use firewall security and different degree of encryption for your sensitive personal information. Our employees and consulting physicians may share medical information with each other for treatment, payment and operational purposes, only in order to provide efficient healthcare services. We encourage users not to share non-medical identifiable information other than their email and at times a made-up username for public forums. Your personal data may in some situations be seen by third parties, such as doctors or operations and maintenance contractors repairing and maintaining our technical systems. The respective contracts require businesses to protect the medical information we share with them. Hamro Doctor will use the information received to provide our services in the best interest of the company. In support of Health initiatives, we may use and share your medical information for research. We will only use and share information for research after obtaining your consent or if the used data does not expressly identify you in any way. We will share your medical information when required to comply with court order or other legal process. We may use and share your medical information to protect the rights, property or safety of Hamro Doctor or another party, or to respond to claims that any posting or other content violates the rights of third-parties. Hamro Doctor website may contain links to other sites. Please observe that we are not responsible for the privacy practices of such other sites. We encourage our users to be aware when they leave our site and to read the privacy statements these websites. We might send notifications, reminders and health information to the email ids provided by you. 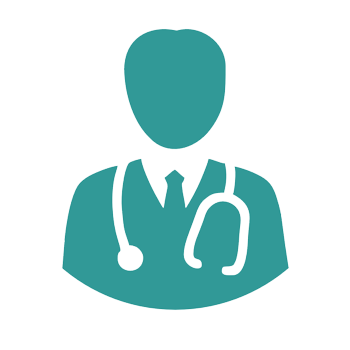 Hamro Doctor will not be responsible for the information loss or privacy loss due to the incorrect email id provided by you. Any information that you may reveal in a review posting or other online discussion or free forum is intentionally open to the public and is not in any way private. You should think carefully before disclosing any personally identifiable information in any public forum. What you have written may be seen and/or collected by third parties and may be used by others in ways we are unable to control or predict.